MG-3U Resources - Sewing, Setup, Thread - Merrow Sewing Machine Co.
Merrow at Imprint Canada Show Toronto, Canada! I've had quite a few questions regarding the operation, sewing, and recommended threads for the MG-3U emblem edging machine, so I thought I'd create a post with some resources (there are many). For general information on the machine (we typically refer to this as pre-sale), the Merrow website is the de facto source for all things emblem edging. 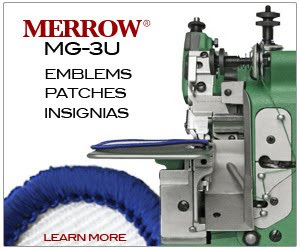 From mechanical overviews to breakdowns of available MG-3U models to high resolution emblem photos, www.merrow.com has all the information one needs to learn what the MG-3U does, how it does it, and why it's the number one sewing machine for edging an emblem. Once you're convinced of the merits of the MG-3U and purchased one for your business, you'll need to know a little more about the parts you can replace and where to put the threads. The support section of the Merrow website is the best in the business - here you'll find a parts book, threading diagram (#40), and instruction manual for the MG-3U as well as any other Merrow model you might be running. Make sure you check out the trouble shooting section in the left column - it's a great place to start if you're experiencing growing pains or something seems not quite right. The Merrow 'Emblem Edging' YouTube page is a great resource for visualizing an MG-3U in action. Videos range from novice (setting up the MG-3U on a sewing table) to the more advanced (when to ignore the edge guide when sewing complex shapes). We're constantly updating the available videos (and would be happy to post any you've created yourself!) so check in often and be sure to comment and let us know what improvements we can make. Perhaps the best kept secret on the interwebs, emblemedge.com is the top online commerce site for keeping your MG-3U threaded, serviced, and up-to-speed. Here you can buy parts, accessories, tools, and even service for your machine, but perhaps best of all, you can purchase Merrow emblem thread. The best (aesthetic, strength, and sewability) merrowing thread for your MG-3U is combination of different weights of nylon and polyester threads, and emblemedge.com gives a clear and concise breakdown of what threads you need and where they go (upper looper, lower looper, or needle). There are a wide range of stock colors available but if you don't see what you need, give us a call and we'll source the shade you want. I hope that this is useful. 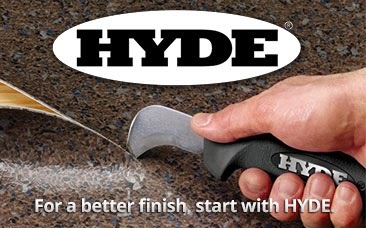 Of course our sales staff is the best resource there is, and they can be reached at any time via our Facebook page, email, or our toll-free number 888.431.6677.